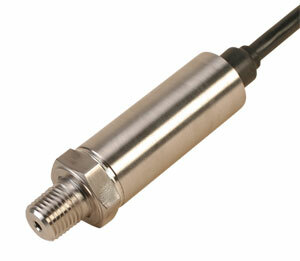 OMEGA’s PX409 Series high accuracy transducers are available in bi-directional gage pressure range and uni-directional vacuum range (negative gage pressure) models. Both series have all stainless steel wetted parts and welded construction and premium temperature compensation which makes them suitable for use in tough industrial environments. Compound range transducers are available in 5 ranges which measure positive and negative gage pressure and give a corresponding bi-directional outputs of ±10 mV/V, ±5 Vdc and 4 to 20 mA with ambient set at 12 mA. Ranges are available from ±10 inH2O to ±15 psi. Vacuum models measure negative gage pressure with increasing output for increasing negative pressure. Ranges are from -10 inH2O to -15 psi with uni-directional outputs of 10 mV/V, 0 to 5 Vdc and 4 to 20 mA (ambient set at 4 mA). Nota: Comes complete with 5 point calibration certificate (positive readings only for compund ranges).